How is Sigma Delta Phi unique? 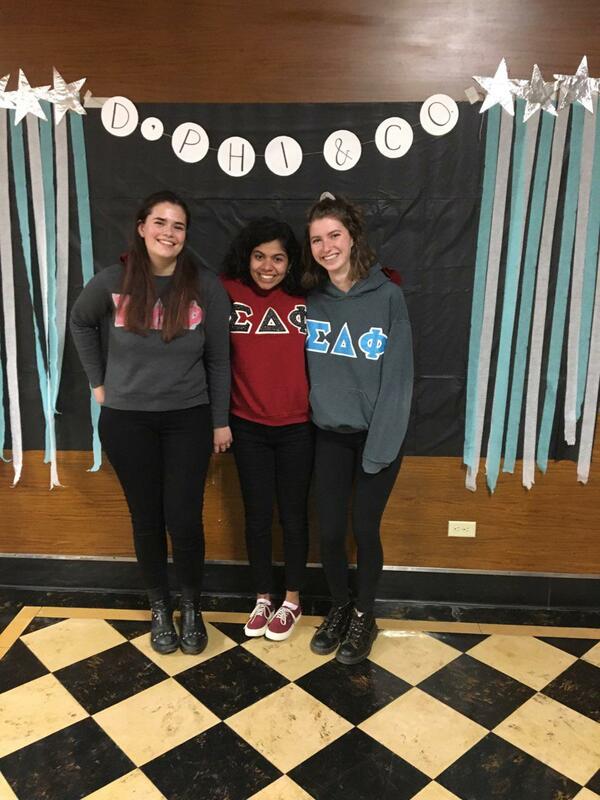 The sisters of Sigma Delta Phi (known as the “D’phis” on campus) are a down-to-earth group of girls. I think most of us would agree that our favorite memories of sorority life are just of hanging out on the hall with our sisters. 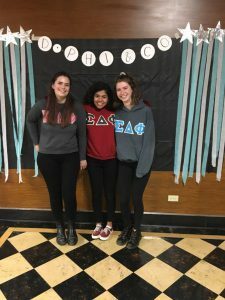 A lot of us are a little introverted, so rush events are not necessarily our favorite thing (but you do not have to be bubbly to be in a Greek group). 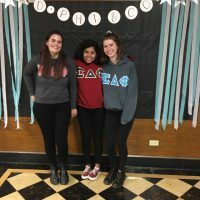 In general, we are a small group of diverse and independent girls who enjoy coming together to relax and enjoy each other’s company and the sorority gives us a chance to do just that. What philanthropy does your sorority participate in every year? The D’phis are always looking for ways to stay involved on campus. For years, we have hosted a series of fundraisers to raise money for the Pittsburgh Project. Each year, we hold a rose sale, candy cane sale, and casino-style game night to benefit their after-school and summer programs for urban youth. More recently, we have also been working with the Grove City Area Pet Rescue and often take groups down to the shelter to visit the pets and clean. What was your experience like as a rush (someone who participates in activities to join a Greek group)? How is being an active member of a group? To be completely frank, I did not like the rush process much at all. It can be draining to meet so many people in such a short time, and interactions can begin to feel impersonal. That being said, if you can weather that social whirlwind, things get so much more fun. I am constantly with supportive girls who help me feel involved and make college fun. I also have a great group of friends that I can bring to volleyball games, my radio show, meals, church, and whatever else we get up to each week. How has your sorority grown you over the past three years? We are a smaller group of girls, and that means a lot can change in a few years. Everyone in our group receives a chance to be involved in its direction because everyone takes some sort of a position. I have seen the group become much more conscious of taking girls who will be a positive influence on the group. We also want them to add their unique talents. It has been so much fun to grow close to each year’s new actives and see what new perspectives they bring. These girls have grown me by presenting me with the responsibility of respecting everyone’s perspective and engaging with the different ideas. What would you tell a prospective student who is considering rushing? Be open to it! A lot of people have definitive opinions of Greek life at Grove City. Most of them are negative. Even if you are not sold on being in a sorority, I think it is a good idea to try. On a small campus like ours, it can be a great way to be involved. Do not knock it until you have tried it! *To attain eligibility to join Greek Life you must have a 2.0 grade point average. You also must be a full time student (at least 12 credits per semester). Junior Elizabeth Becherer, far right, poses in letters with her sorority sisters. Samantha Funderlich is a Junior English major at Grove City College with minors in Creative Writing, Marketing, Professional Writing, and Communication Studies. Her on campus activities including freelance writing for the college newspaper, being a Resident Assistant, and is the secretary of the Sigma Theta Chi sorority.